Learn more about our Carson Scholar Alumni Hall of Famers! 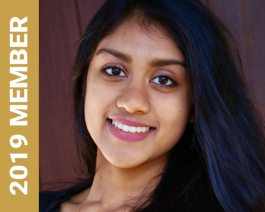 Meghana is currently pursuing her Bachelor’s degree at Duke University where she attends a cutting-edge Duke program titled, “Intersection of Food and Medicine.” In the summer of 2018, Meghana worked for a non-profit called The Goldring Center for Culinary Medicine which is affiliated with Tulane University’s Medical School. Meghana worked with doctors, dietitians, culinary nutritionists, and community volunteers to organize and run free cooking classes to teach cardiac patients unable to afford proper post-operative care how to use food and kitchen skills to reduce their recurrence and risk rates for further complications and diseases. 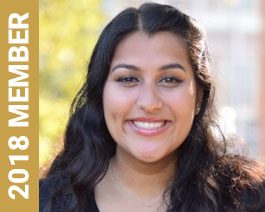 Meghana currently serves as Chair of the Robertson Community Council, connecting over 200 scholars on Duke University and the University of North Carolina’s campuses to engage in service activities geared toward specific themes each academic year. This year, she has helped partner with local urban ministries and food shelters to help package and donate meal supplies. 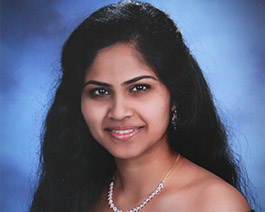 Swetha is studying Computer Science and Dance and Performance Studies at the University of California at Berkeley. Swetha’s societal impact cannot be overstated. She is the founder of the non-profit organization, Everybody Code Now!, which engages students, especially young women, in the Computer Science and STEM fields through the organization’s various coding programs. 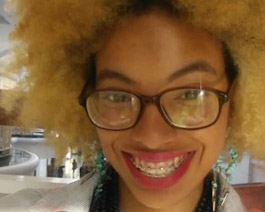 Her organization is responsible for raising over $65,000 that has helped schools expand their Computer Science education programs. Further, Everybody Code Now! has had over 1,500 students worldwide complete their programs. Thanks to her non-profit work, Swetha had the opportunity to share her passion for technology on a tremendous scale over the past few years. She has spoken about her work at various venues including the White House after being named a Champion of Change in 2015 and on Google DC’s “Future of Innovation” Panel alongside Code.org’s COO and President Obama’s Senior Policy Advisor for Tech Inclusion. She has also spoken with audiences ranging from 500 middle school girls and families at an AAUW conference to educators at Columbia University on a number of topics. 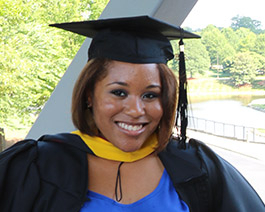 Capri attends the University of North Carolina where she is earning her degree in Business. In 2017, Capri received the U.S. Congressional Gold Medal in Washington D.C. for her servant leadership. Specifically, Capri completed over 400 hours of voluntary service by supporting a STEM-based girl’s organization, STEMBees, in Accra, Ghana. Volunteering for STEMBees in Ghana provided Capri with a transformational experience where she spent time with underprivileged young girls who are at high risk of sexual abuse and teenage pregnancy. Capri also made a presentation on the importance of women in STEM professions, which was discussed extensively at the North Carolina Governor’s School. Capri’s mother’s battle with Stage IV gastric cancer made her realize that she could live Gandhi’s words: “Be the change you wish to see in the world.” Her mother’s struggle, while painful and difficult, taught her valuable lessons, and has instilled in her an important mission: To help those facing the kinds of adversity and pain that she had come to know firsthand. Her passion is paying it forward, giving back to society, never forgetting the kindness of people who made a difference in her life. Diana is a University of Virginia graduate where she majored in Sociology and Women Gender Studies. 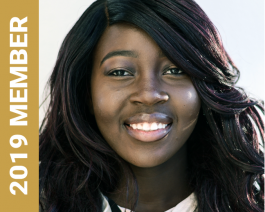 As a first-generation Ghanaian American college student, she has completed prestigious programs with PricewaterhouseCoopers, Goldman Sachs, McKinsey, Google, and JP Morgan Chase & Co.
Diana won the McKinsey Woman’s Social Impact Award for her work with college students in Ghana regarding their civic engagement. Moreover, with all the racial tension and chaos surrounding her school’s campus in Charlottesville, Diana has worked on the Memorial to Enslaved Laborers project. This memorial will be constructed on the University of Virginia’s campus. Recently, Diana created Yielding Accomplished African Women: Ghana’s first finance and technology talent accelerator for women. Her mission is to create a pipeline that will empower African women to develop a gender specific professional toolkit that will advance their careers in business or technology. 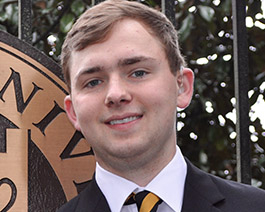 Grant is majoring in Biology, International Affairs and Spanish at the University of Georgia. Grant was honorably named the National Eagle Scout of the Year for his outstanding character and dedication to his community which was manifested through his leadership in helping to create a nature sanctuary that is now endorsed by the Audubon Society and the National Wildlife Federation. Grant’s trailblazing spirit eventually led to him founding a mentoring group called Building Buddies. This idea came about when Grant brought hundreds of Legos to a homeless shelter so that he could bond with kids while building Legos. Grant offered an ear, occasional advice, and fun to children experiencing tough times. This idea has led to Building Buddies having collected $20,000 worth of Legos that have been given to 750 children in three different states. After his run as “Lego Man,” Grant aspires to become a doctor. 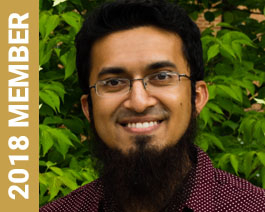 Rafee, a 2013 graduate of Johns Hopkins University, is currently pursuing his Master’s degree in Couple and Family Therapy at the University of Maryland. Throughout his Master’s program, he has conducted over 700 hours of therapy with individuals, couples and families, culminating in the honor of receiving the Jennifer Becker Caswell Award for excellence in clinical work. While working on his Master’s, Rafee is working with the non-profit organization, BuildOn, to fundraise $30,000 for a new school in a rural village in Senegal. He also founded TimeBloqs, a time management app that helps you track your time and evaluate your performance throughout the day. If Rafee could tell his ten-year-old self one thing, it would be to take initiative when opportunities present themselves and to never stop believing in himself. Amanda’s love of science and writing has driven her to chase her dreams. As a Ph.D. candidate at Ohio University, Amanda had the opportunity to travel to Antarctica twice to study the physiology of Antarctic fishes in hopes of determining the biochemical explanation for their thermal tolerance limits. She hopes to bridge the communication gap between scientists and the public, writing about not only her research, but also the work of other scientists. Amanda works as a technical writer for Ohio University’s Nanoscale and Quantum Phenomena Institute, and is published by the NSF United States Antarctic Program, the Entomological Society of America, and the American Society for Biochemistry and Molecular Biology. Amanda says the best song to describe her is “You Raise Me Up” by Josh Groban because it reminds her that she has a great support system and that we are all better when we work together. 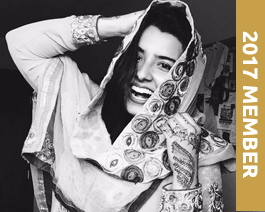 Jahnavi, who is currently studying molecular & cellular biology and public health studies at Johns Hopkins University (JHU), puts her heart into everything she does. Inspired by her younger brother and the joy that he has brought to her life, she is in the process of co-starting the first Special Olympics event ever held at JHU. 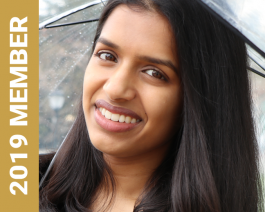 Since high school, Jahnavi has volunteered in the outpatient oncology department at Johns Hopkins Hospital and enjoys bringing a bit of hope to a family’s darkest days. She has been dancing ballet, tap, jazz, Bollywood, and Kuchipudi since the age of four. If Jahnavi could tell her ten-year-old self one thing, it would be to stop caring so much about what other people think of her, and that life is more enjoyable when you let loose, follow your heart, and go with the flow. Ella, a neonatal intensive care nurse at the Children’s Hospital of Pittsburgh, is passionate about helping those around her. As a community research assistant, she worked on a research project to better understand the causes of health disparities that young women face in regards to maternal and neonatal health. Ella is most proud of graduating as valedictorian of her nursing class at Duquesne while working as a community research assistant and two part-time jobs. Her story has come full circle: born with a fatal infection, she spent the first days of her life as a patient at the Children’s Hospital of Pittsburgh. Ella is honored to share her career of saving the lives of neonates with the same team that saved hers. Joseph ignites positive social change in his community through a variety of leadership groups. 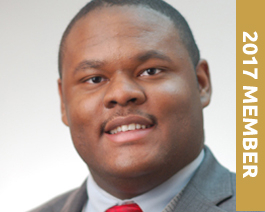 During his time at the University of Maryland, he was a member of the Peer Leadership Council, creating and facilitating learning experiences for undergraduate and graduate students on campus. Along with other members of the organization, Joseph designed and implemented a four-day leadership immersion experience for new students. 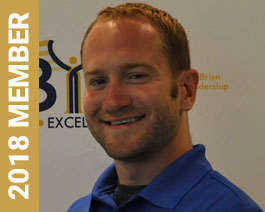 Currently, he is involved with Hugh O’Brien Youth Leadership (HOBY) Maryland, through which he shares his knowledge of personal development and mentors students in various aspects of leadership education. As a software and systems engineer for multiple work streams on a Department of Defense web application, Joseph has been instrumental in the coordination and evaluation of projects across organizations. Joseph would tell his ten-year-old self that life is about experiences and to never let self-doubt dissuade him from doing what he loves. Manaal is most proud of having written a young adult novel at the age of 16 which is set to be published in winter of 2016. 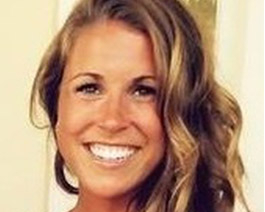 She currently attends Augustana University and is involved with a variety of activities. She has volunteered at LifeScape, a home for intellectually and developmentally disabled children, where she mentors young residents. Manaal has also run the Life Science Discovery Program at Washington Pavilion, taught animal dissections, mentored a robot engineering class which scored second in the state, and started two nationwide nonprofits: Starts with Soap and Civic Duty. She was selected as a PROMISE Scholar at Sanford Research, where she works with molecular biology researchers. Manaal will continue to work at Sanford Research throughout the next four years of college making her the youngest long-term researcher in the facility. For eight years, Evan has worked with the visually impaired community advocating for the blind and others with disabilities to experience the outdoors through braille trails and sensory gardens. Through applying for and being awarded grants, Evan designed and created a braille trail in his community. He regularly holds nature walks for visually impaired adults and children, and has created an international database of braille trails and sensory gardens. 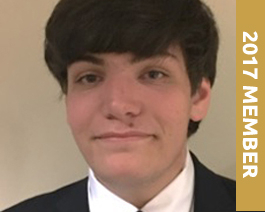 Evan has received a number of distinguished awards including the Prudential Spirit of Community Award, the National Arbor Day Foundation Education Innovation Award, and the President’s Volunteer Service Gold Award. He has worked with legislators to support programs that provide better outdoor access to those with disabilities and gave a TEDx talk as part of TEDx Global Youth Day, which resulted in him being selected as an Action for Nature International Eco-Hero. Evan attends the University of Georgia where he is a student in the Odum School of Ecology. Like a phoenix, Evan regenerates himself from the ashes of his “predecessors” or what he has already learned and created to continue to expand and enhance his advocacy and work in the community. Da’Kuawn is a senior at the University of Maryland – Baltimore County (UMBC) studying biochemistry, molecular biology, and Spanish. As a freshman, he was a third author on a research publication in the scientific journal Diabetes. Da’Kuawn has received several distinguished honors including being named a Meyerhoff Premier Scholar and a Howard Hughes Medical Institute Exceptional Research Opportunity Program (Exrop) Scholar at Yale University. Da’Kuawn is passionate about the field of STEM and helping other students succeed academically. In college, he serves as a tutor and an undergraduate teaching assistant. He also judges and volunteers his time at high school science fairs, and visits his old high school to share college application advice with students. Da’Kuawn is strong-willed and strong-hearted, and continues to persevere even when life tries to shoot him down. “Titanium” by David Guetta best describes him. 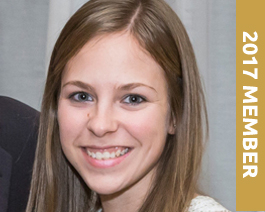 Megan is a senior at the United States Naval Academy majoring in political science. Prior to attending the Naval Academy, Megan was a recipient of the President’s Environmental Youth Award and was crowned Miss Teen Earth Pennsylvania. She is passionate about bringing awareness to the world’s water crisis, which led her to create Barrels by the Bay, a nonprofit organization aimed to educate students about water resources and demonstrate the importance of utilizing rain barrels. 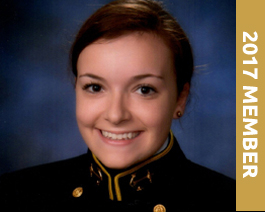 Megan also serves as a project leader for Harvest for the Hungry and works with the Midshipman Action Group at the Naval Academy. Megan embraces any “brick walls” that she might encounter on her journey as they make the journey more interesting and the reward more fulfilling. Lisa earned a bachelor’s degree in engineering science from the University of Pittsburgh and is currently pursuing a Ph.D. in environmental engineering with the goal of obtaining a tenure-track-faculty position. Lisa was an author on a scientific publication published in Regulatory Toxicology and Pharmacology. She helps to inspire female and minority students to pursue STEM fields through working with the Fund for Advancement of Minorities through Education as a MATHCOUNTS instructor and with the INVESTING NOW Summer Enrichment Program at the University of Pittsburgh. Lisa volunteers for the Mascaro Center for Sustainable Innovation Teach-a-Teacher Workshop to motivate middle school teachers to adopt sustainability and engineering practices into the classroom. Due to her strength, courage, confidence, and her desire to teach and help others, Lisa acknowledges the bear as her spirit animal. Michael graduated with a bachelor’s degree in molecular biology from Princeton University in 2015. He is currently attending Harvard Medical School. While attending Princeton, Michael was a volunteer EMT for the Princeton Township First Aid and Rescue Squad and spent time working in a research lab in Ghana. In addition, he was awarded the George A. Khoury ’65 Prize for Academic Excellence at Princeton University Department of Molecular Biology. Kylie Lan has received several prestigious awards including Nestle’s Very Best in Youth Award, Nickelodeon’s HALO Award and was named one of ESPN’s “18 Under 18,” which highlights “female teen athletes who are doing remarkable things on the field, in the classroom and in their communities,” stated by ESPN. 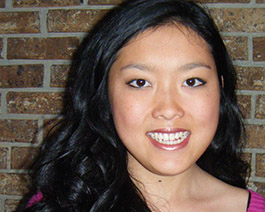 As an adopted child, Kylie Lan hopes to instill confidence and courage to stand up to bullying to other adopted children. She works with Operation Hope, a nonprofit organization that promotes literacy to migrant worker children. Kylie Lan attends Seton Hall University, where she coordinates different programs serving the community as a member of the Division of Volunteer Efforts (DOVE). Kylie Lan has and continues to persevere through seemingly insurmountable odds and has adopted the camel as her spirit animal. At the age of 18, Jeremy started his own nonprofit called Soxcess, which is aimed at providing the needy with clothing and other necessities. Jeremy has also served as an EMT for the Hoboken Volunteer Ambulance Corps since the age of 15. He has travelled to Honduras through his school, Seton Hall University, to provide health services to villagers in need. In 2015, Jeremy was selected as a recipient of the New Jersey Governor’s Jefferson Award for the Youth in Service category. He was also chosen to represent the state of New Jersey at the National Jefferson Awards in Washington, D.C., where he was able to speak with Supreme Court Justice Sonya Sotommayor about his nonprofit organization. “In order to lead a positive life, you would have to carve it out yourself; do not be a follower. No one person can do it for you, your destiny is your responsibility.” These are words that Jeremy clearly has followed. 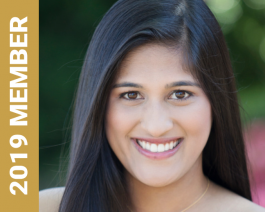 Sreya is the CEO and founder of Creating Awareness in Research and Education (CARE) and serves as executive director for Growth and Inspiration through Volunteering and Education (GIVE). The two nonprofit organizations help address education disparities across socioeconomic levels. Sreya is also heavily involved in STEM outreach and was a member of her county’s Superintendent’s Student Advisory Council. Sreya always remains true to herself and strongly believes in upholding her morals through adversity. “I Am Me” by Willow Smith best describes her. As valedictorian of his high school class, Evan spoke about his struggles as a deaf person and how to never give up. His speech when viral online and has helped people across the world deal with not only hearing impairments, but also other chronic illnesses and mental health issues. 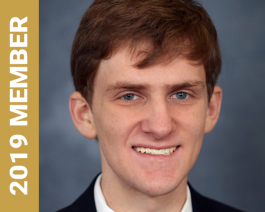 Evan is currently studying neuroscience at Vanderbilt University. In college, he volunteers tutoring children and leads a science lab at Safe Haven, a shelter dedicated to keeping homeless families intact. Evan was born a fighter and never backs down from an obstacle, which is why the wolverine represents his spirit animal. Benjamin is studying history at the U.S. Naval Academy, where he is a midshipman. In high school, he was the only student representative on the Harford County Board of Education. He is heavily involved in his community and volunteers at local schools, retirement homes and helps raise money for the Special Olympics. Benjamin believes that success is a group effort and the people in his life are most important thing to him. 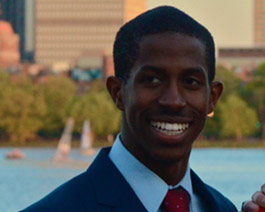 As a 9th grade student, Shaun founded MDJunior, an organization that inspires “selfless service through mentorship.” MDJunior has grown to become a student-run nonprofit organization that helps to improve health care accessibility in underserved communities. MDJunior’s newest initiative, the Global Youth Health Summit, aims to empower youth voice in health care by bringing together Youth Fellows from across the United States, along with leaders in the field of health care, service and policy. In addition, Shaun is a Youth Advisory Council member for the National Youth Leadership Council and a Youth Ambassador to the Youth Leadership Institute. 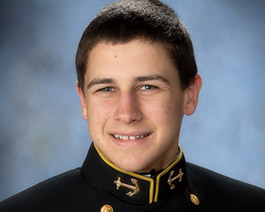 He is majoring in public health at Johns Hopkins University. Shaun has continued to be motivated by his father’s advice to do whatever you want to do, but be the best person you can be at it. Pavitra went to college at the age of sixteen and received her bachelor’s degree in psychology and her master’s degree in global medicine from the University of Southern California. In college, she mentored and tutored middle and high school students, helping to increase their collective GPA from below a 1.0 to over a 3.0. She is currently attending medical school in Philadelphia. She serves as vice president of Refugee Health Partners and helps refugees in the community with clinical support. Kathryn is most proud of presenting her Breast Cancer Research at the American Association of Cancer Research’s annual meeting in April 2015. 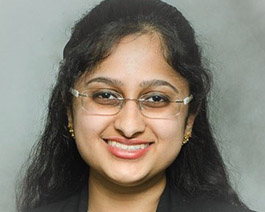 She earned her bachelors degree in biomedical sciences from the University of Georgia, her master’s degree from Philadelphia College of Osteopathic Medicine, and is currently in the doctoral program at the University of Nebraska Medical Center. Kathryn enjoys being a supporting and encouraging of her peers. She volunteers through various programs with her church and was a former cheerleading coach. “You Can’t Stop Me” by Andy Mineo describes Kathryn. There are many things in life (including yourself sometimes) that try to hold you back, but you have to have trust that nothing will deter you from your dreams and goals in life. 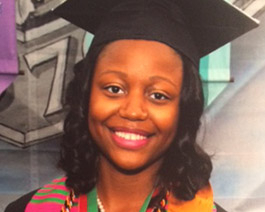 Asia is pursuing a degree in design at Howard University. She is building a socially responsible fashion line that will evolve into the areas of wearable technology, retail and wholesale industries. One of her goals is to exhibit in D.C. Fashion Week. Asia is a costume designer for Howard Players, which is a performing arts organization at Howard University that has been active since 1919. In addition, she interns with the Network for Teaching Entrepreneurship – a business education program. Asia stays so motivated by refining her goals every six-month – whether it be personal records to break, community service projects to complete, places to travel to, or career moves to embark on – she is leaving her legacy. Justin graduated from Massachusetts Institute of Technology with a bachelor’s degree in chemical engineering. At MIT, Justin was captain of the track and field team and was awarded the Admiral Edward L. Cochrane Award, which is given to a senior male showing the highest qualities of humility, leadership and inspiration in collegiate athletics. He now attends the University of California, San Francisco where he is involved in a program for medial students who want to serve underservered urban populations in the United States. Alexandra is currently studying biology and chemistry with a minor in physics at Towson University. In school, she is an active researcher in two different labs, where she studies the molecular ecology of wood frogs and performs photoelectron spectroscopy on electron induced proton transfer systems. Alexandra volunteers in the emergency room at the Baltimore Veteran’s Affairs Medical Center. She is very active in the STEM community at Towson and is an orientation leader and high school student tutor. 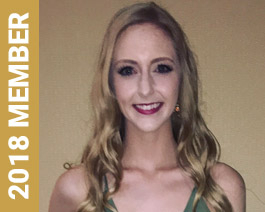 Alexandra loves to make others smile and always seeks to find a ray of sunshine on a rainy day, which is why she would pick “Sunshine On My Shoulders” by John Denver as a song that best describes her. 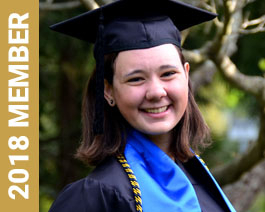 Emily received her bachelor’s degree in international business from Georgetown University. While living in Baltimore, she was on the Emerging Leaders United committee for United Way, which helped organize volunteer programs and networking events specifically geared towards recruiting more young professional volunteers. Now living in New York, Emily volunteers with Big Brothers Big Sisters, an organization that provides mentors to children facing adversity. Emily has also supported the One Love Foundation and the Christopher and Dana Reeves Foundation since 2010. Through experience, Emily has learned to never stop reaching for more than what you think you’re capable of. She is not afraid to ask for what she wants and believes that working smarter outweighs working harder. 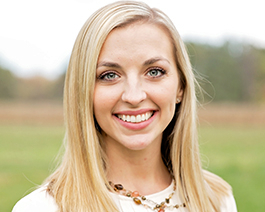 Ashley graduated from University of Maryland, College Park with bachelor’s degrees in neurobiology, physiology and biochemistry. In college, she was involved in the Gemstone Honors College in which she was required to complete a four-year long research project. For her project, she studied Alzheimer’s disease. Throughout high school, she made paper cranes for children with cancer and continued the effort through her co-ed honor fraternity in college. Ashley currently works as the clinical research coordinator for the Epilepsy Department at Children’s National Medical Center in Washington, D.C. While Ashley isn’t on track to become the astronaut she wanted to be at age 10, however she is very happy as a scientist and hopes that one day she can become a great doctor. Frederica graduated from Johns Hopkins University not only with a bachelor’s degree in environmental engineering, but also as a world traveler having traveled to Ghana, Brazil, Germany and Jamaica. She interned with the U.S. Department of Agriculture at the University of Hawaii – Hilo. Frederica recently moved to New Orleans to start a two-year MSPH program in Global Environmental Health Sciences. Although new to New Orleans, she is already volunteering in beautification projects throughout the city. Because of her nurturing and protective reputation with her family and friends, Frederica would select the female polar bear as her spirit animal. 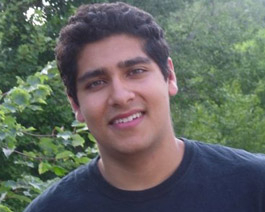 Gaurav is studying bioinformatics at the University of Maryland, Baltimore County. 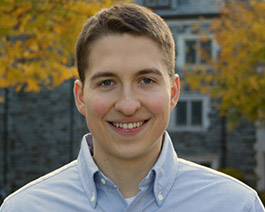 He has a passion for developing computational tools to help diagnose and treat diseases and has researched such topics at internships with Harvard-MIT Health Sciences and Technology, as well as at the University of Pennsylvania. Outside of the lab, Gaurav tutors students, is a teaching assistant and participates in hackathons focused on new technology development. Gaurav believes the best service he can do for his community is sharing his knowledge in the fields of computer science, biology and chemistry, and is committed to sharing his skills with others. 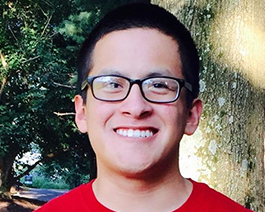 Edric is studying human biology and Spanish at Stanford University. In spring 2015, Edric, along with two classmates, started The Kind Initiative at his school in which students promote and deliver small random acts of kindness across campus. He believes in the domino effect and that small deeds can start a movement. Edric recognizes the importance of kindness and believes that it was his friends, family and community who helped him get to where he is today. Edric chose the sea otter as his spirit animal not only because of their love for social interaction, but also because of their intelligence and resiliency. Jesse is currently playing the role of Neil Kellerman in the national tour of Dirty Dancing. He starred in the world premiere of To Dance, the story of Valery Panov, who was a rising star with the Kirov Ballet during Cold War Russia. For his performance, he won the Fringe Festival Overall Excellence for Acting Award. 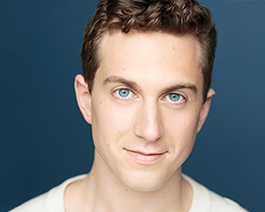 Jesse enjoys sharing his talents with others and works with all ages of aspiring actors, dancers and singers, where he coaches them and encourages self-confidence and fearlessness. Lindsay earned a bachelor’s degree in political science and government from Washington College and a master’s degree in public policy from the University of Maryland, College Park. Growing up on a farm on Maryland’s eastern shore, she developed a passion for protecting the agricultural industry. As a part of a coalition of agricultural advocacy groups, Lindsay helped defeat legislation that would require farmers to label pesticides in a way, which was not grounded in science. 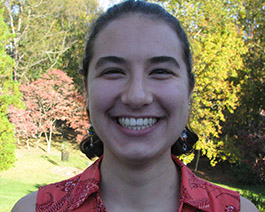 She also works with the Chesapeake Bay Program to promote accuracy in modeling agricultural inputs. Lindsay would do anything for her family and friends and always try to “pay it forward” for the blessings in her life. She chose “Lean on Me” as the song that best describes her. Paul approaches his educational journey with grit and ambition. 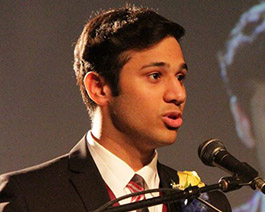 He graduated valedictorian of his high school class and is currently studying symbolic systems at Stanford University. 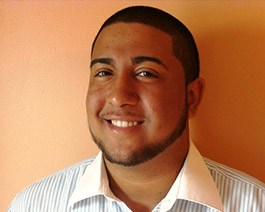 As a first-generation college student from an under-resourced area, Paul is a trailblazer. He is committed to promoting equal access to higher education and supports this initiative through various activities on campus and in the community. Paul also serves as an ambassador for the Gates Millennium Scholars Program where he coordinates outreach efforts to increase awareness of the program. Paul is represented by the hummingbird, not just because of his lighthearted, face-paced spirit, but because of his swiftness and resilience. He believes that no matter how “far he needs to fly,” he will get to where he needs to be. Congratulations to our Honorable Mention members!